As Michael Jordan’s beloved alma mater, the University of North Carolina’s sports teams always get laced with plenty of exclusive Jordan Brand gear. The sneaker interwebs were sent into a frenzy recently when head men’s basketball coach Roy Williams coached a game against Virginia Tech in a pair of Off-White‘s “UNC” Air Jordan 1s, but it’s not just the basketball team that feels the love from MJ. 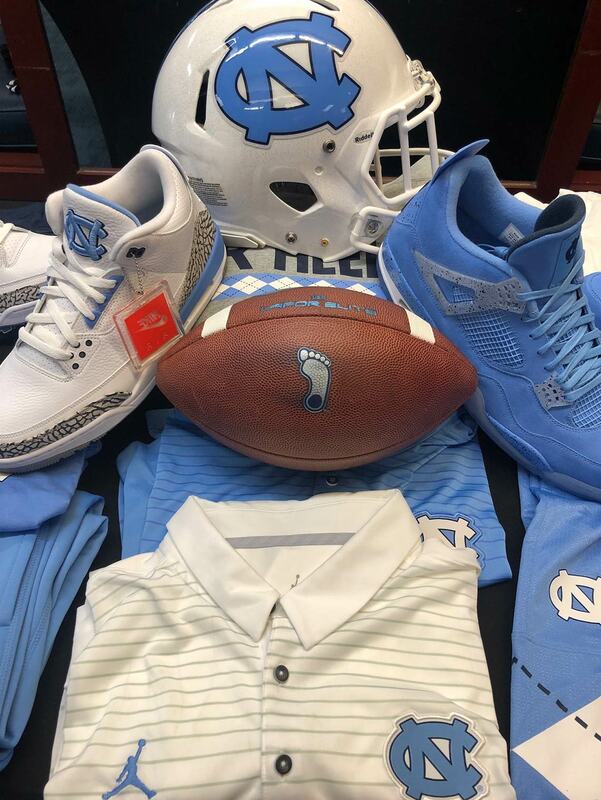 The football team has received many special shoes/cleats of their own, and UNC wide receivers coach Lonnie Galloway recently took to Twitter to show off some new Tar Heel product from Jordan Brand. The two things that jump out the most are a white/powder blue Air Jordan 3 with an embroidered UNC logo on the tongue — the same shoes that players received sanctions for selling last season — and an all-powder blue Air Jordan 4, complete with grey/blue speckled detailing. 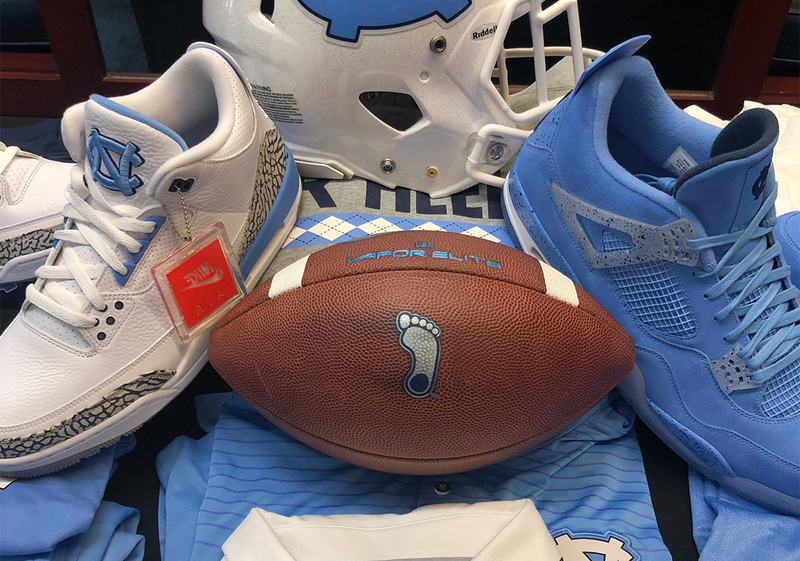 The Heels will be looking stylish on the gridiron as well: Galloway also revealed UNC Air Jordan 11 Low cleats, and a blue/black cleat that features a plentiful helping of elephant print. Grab a look at the new shoes and gear below, and keep it locked here for even more Jordan Brand PE updates.